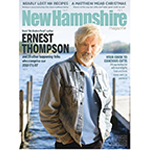 UPCOMING AUDITIONS Ernest’s newest movie, to be shot in its entirety in the state of New Hampshire this fall, is underway. The production is now casting for a myriad of roles and seeking crew members, extras and volunteers to come be a part of the magic. 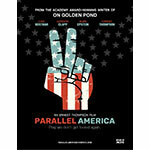 For updated audition information and a list of characters, go to www.parallelamericathemovie.com. You can also follow the production on Facebook and Instagram.